If polishing your car isn’t bringing back its shine, it’s time to buff. Over time, exposure to the elements will make your car’s finish look dull. That’s where buffing comes in. Buffing removes a tiny layer of paint using special polishing compounds. 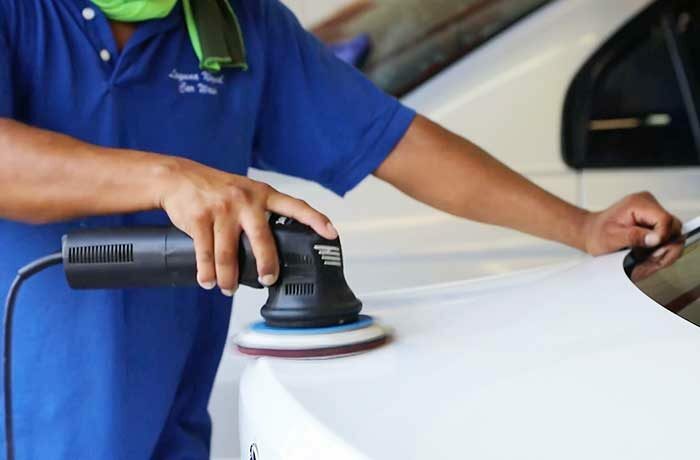 As the paint comes off, the scratches come with it, leaving your car with a clean, smooth finish.